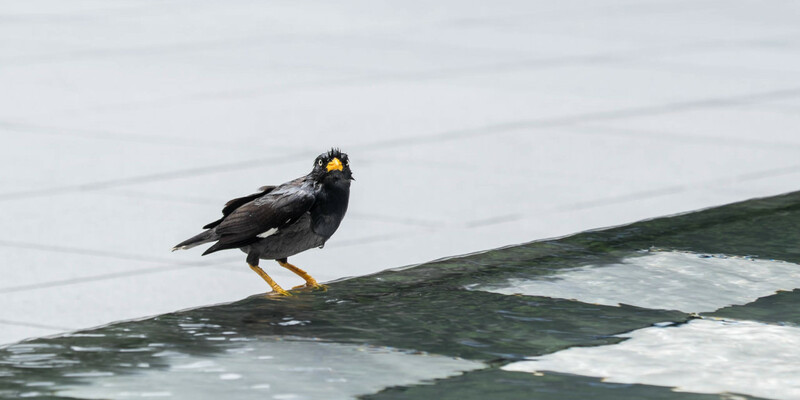 Spotted this Indian Myna sitting on the edge of this water feature located outside Scotts Square taking a dip in the water to cool off. Singapore climate was quite hot and humid this day and I can certainly empathise with the bird as I was feeling the same (wanting to take a dip) after having walked only about 10 minutes along the road. 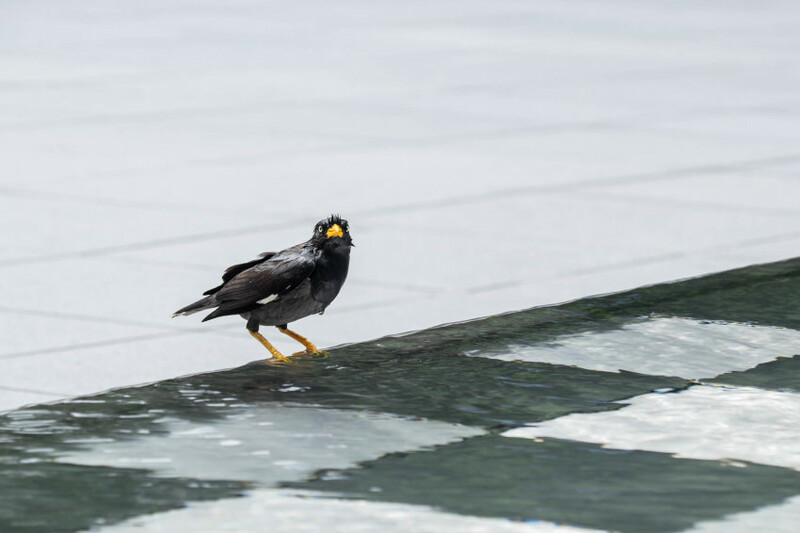 The Myna was not bothered by all the people walking along just couple of feet from it. The Myna would look around after every dip just to check it was still safe and then dip again.